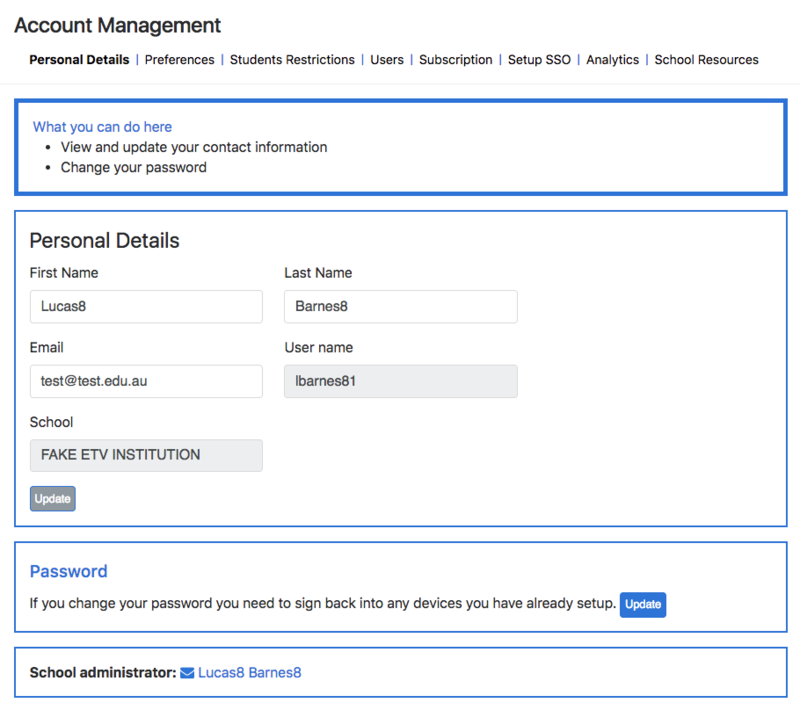 Personal Details allows you to change your personal details including your First Name, Last Name, Email and Password. You are unable to change your Username or School. To update your First Name, Last Name and Email, just click in each of the boxes you wish to change then make your changes. Click on update when you have finished to save. To update your password, click on update and the following screen will display. 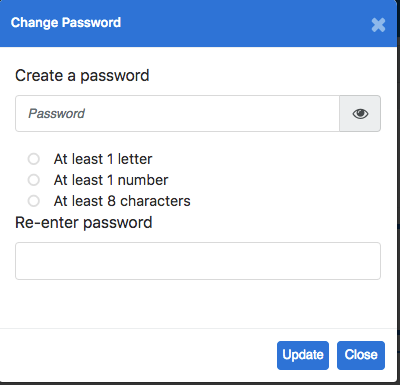 Enter in your new password that contains at least 1 letter, 1 number and 8 characters. To save, click Update.